Despite the popular success of Snugglepot and Cuddlepie, May stated her occupation not as author or illustrator, but as artist. Taught initially by her father, Herbert, May started to draw and paint at an early age. She exhibited in Perth at a number of exhibitions including some where her work was awarded prizes. This talk looks at May as an artist, including her earliest works, her works in oil as a teenager, her watercolours, her student works in London and the portraits she executed in the 1920s. It also touches on her attitudes to other artists and their works. 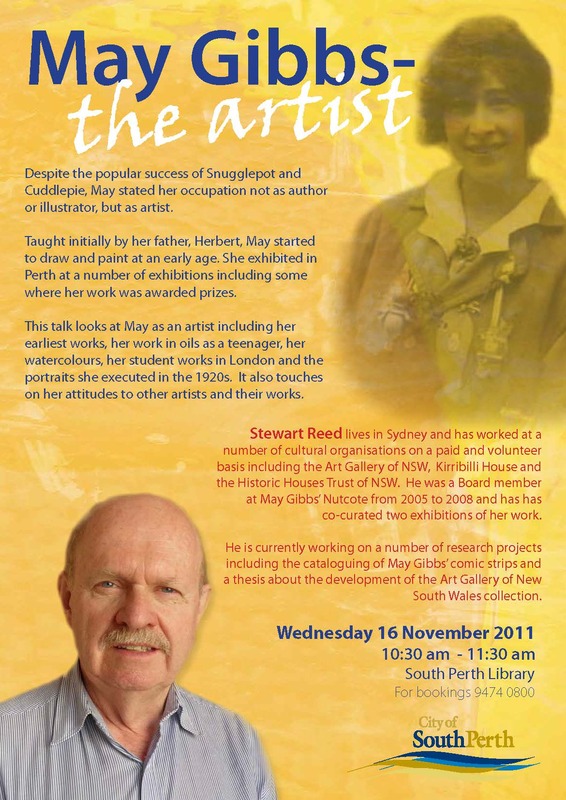 Join Stewart Reed at the South Perth Library for what is sure to be an insightful presentation.